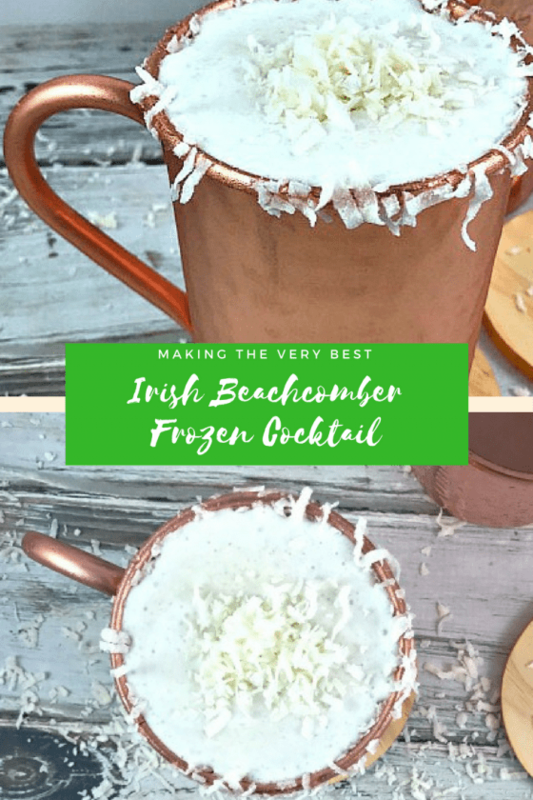 An easy and irresistible frozen drink where Irish cream, bananas, and coconut flavors team up to take you on a tropical getaway. Put a small amount of simple syrup on a flat dish. Let it spread to the circumference of your mug. On another small flat dish place coconut shavings. 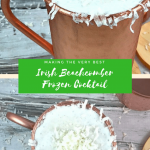 Dip the mug rim into the simple syrup and then the coconut shavings. Place all remaining ingredients into a blender. Blend until smooth. Pour into a mug and garnish with coconut. Enjoy!